In this chapter, supersymmetry (SUSY) as a complete and renormalisable candidate for an extension of the Standard Model is described. SUSY at an energy scale not too far above the electroweak scale would solve the hierarchy problem of the SM Higgs boson, dynamically explain electroweak symmetry breaking, and provide a dark-matter candidate. Since it doubles the Standard Model degrees of freedom, SUSY predicts a large number of additional particles, whose properties and effects on precision measurements can be explicitly predicted in a given SUSY model. 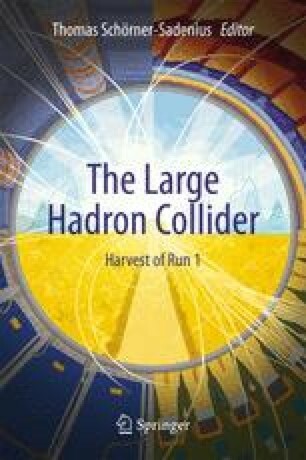 The chapter motivates SUSY, describes the searches for SUSY particles at the LHC, and describes the status of SUSY in global analyses after the LHC Run 1.